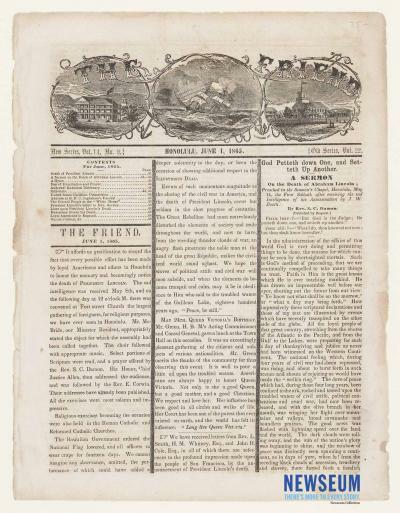 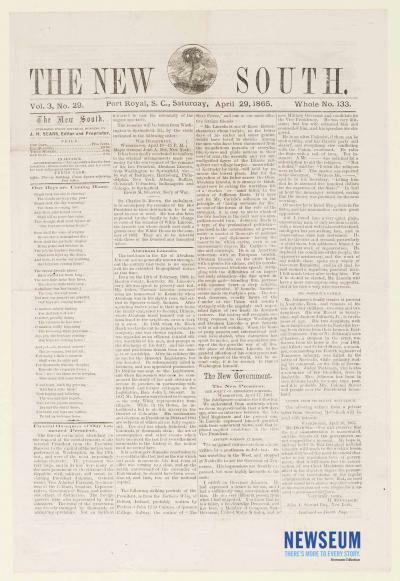 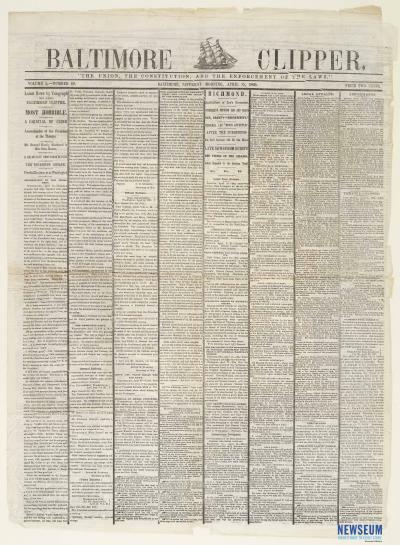 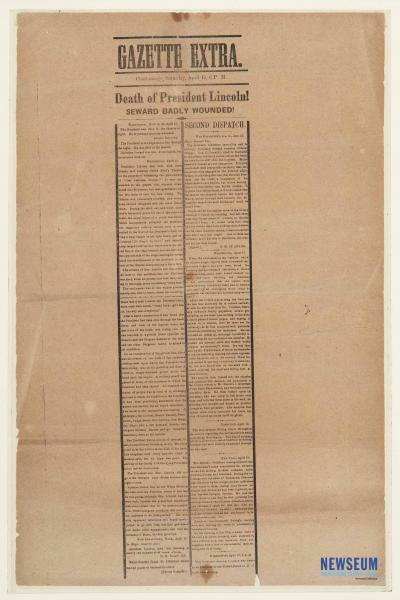 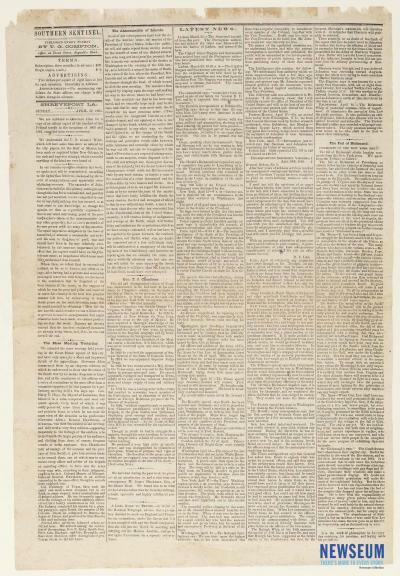 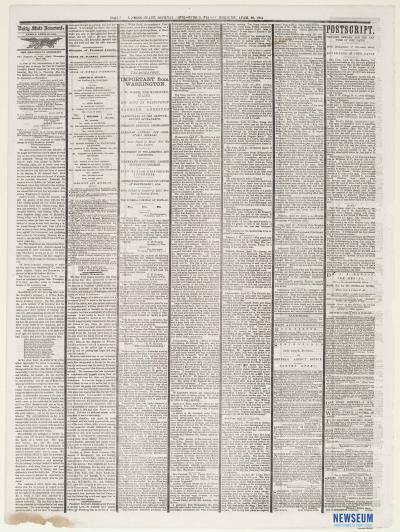 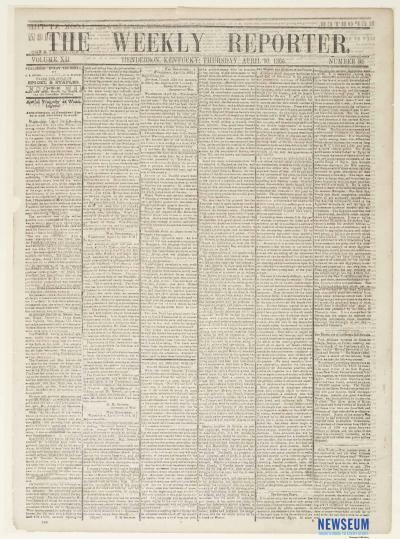 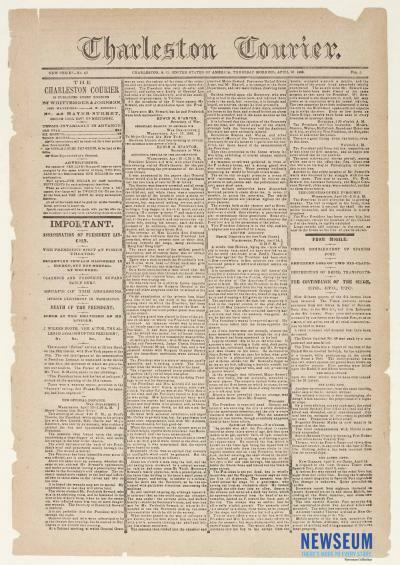 To mark the 150th anniversary of the assassination of President Abraham Lincoln, the Newseum will display an unparalleled collection of New York Herald special editions from April 15, 1865. 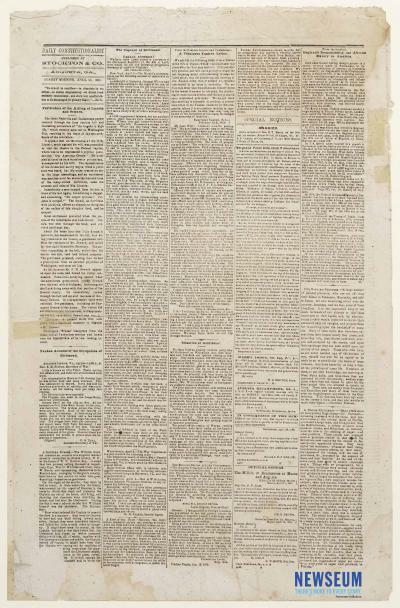 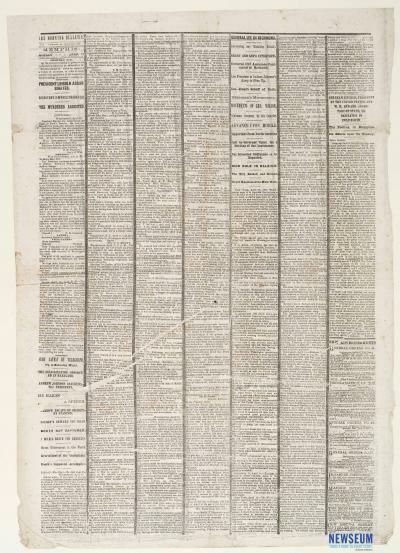 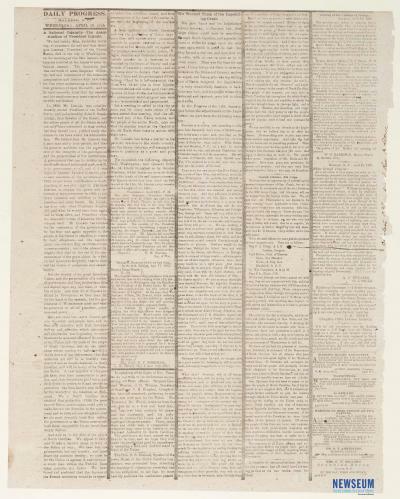 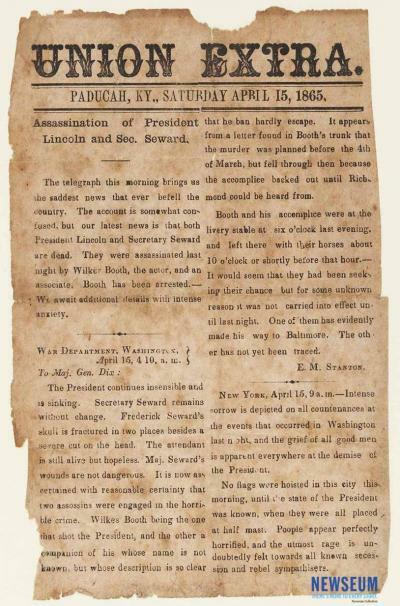 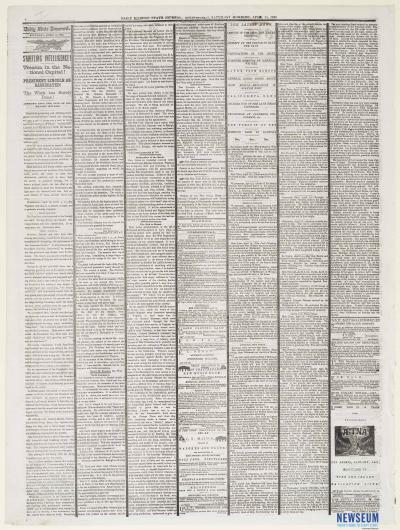 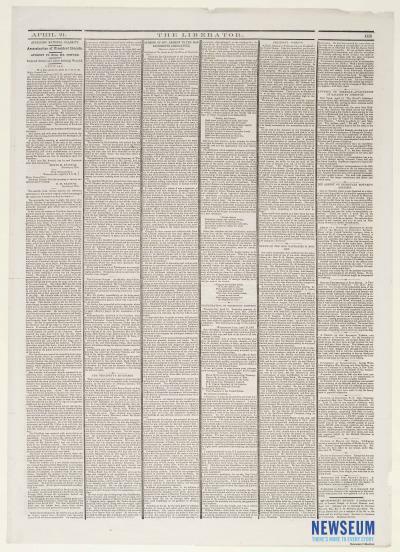 The exhibit brings together all seven editions for the first time since 1865, beginning with the 2 a.m. edition, which contained the first Associated Press report that Lincoln had been shot. 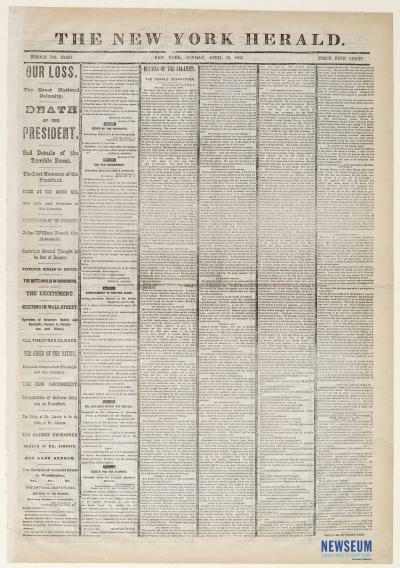 The display also includes a recently discovered 8:45 a.m. “extra” that was one of the first newspapers to report the president’s death. 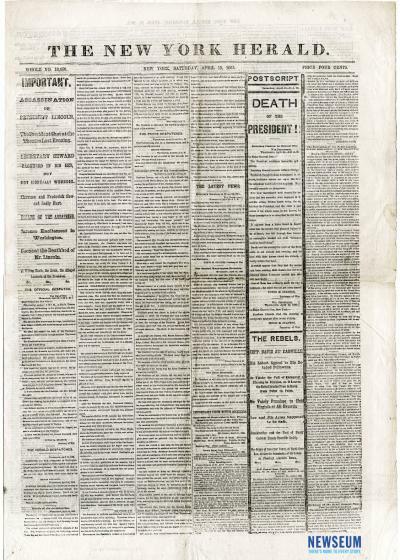 With this exclusive exhibit, visitors will be able to view the newspaper’s complete coverage of the tragic event as it unfolded.